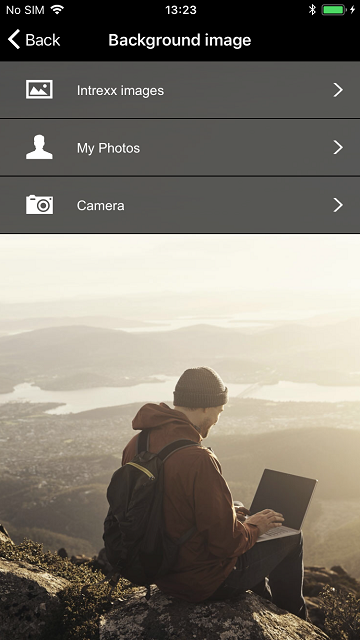 You can choose an image stored on your mobile device or take a new picture with the camera. 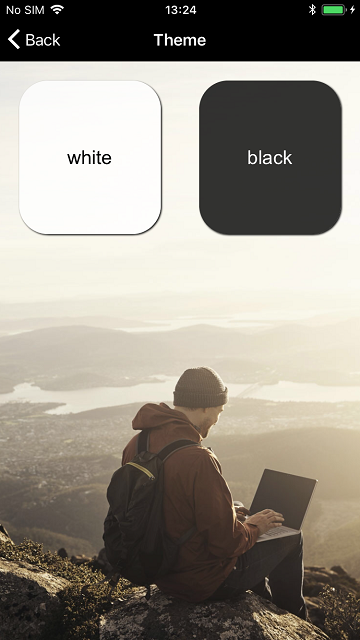 You can choose a theme (white / black) for camera images. If you have only registered one portal, you can also select a homepage for the Intrexx App here. Press "Homepage" to load the options list for the homepage. You can choose between the portal overview, the notification list for all portals or to open the portal directly in the portal browser here. 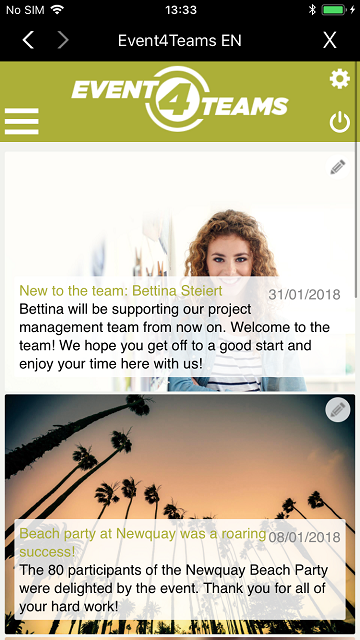 Move the .pem file to the download folder of the smartphone. 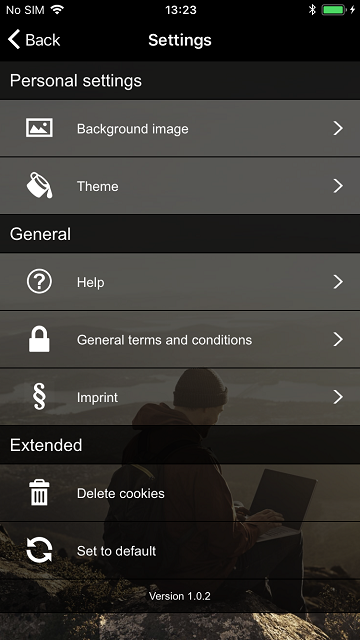 Open the Android settings of the smartphone. 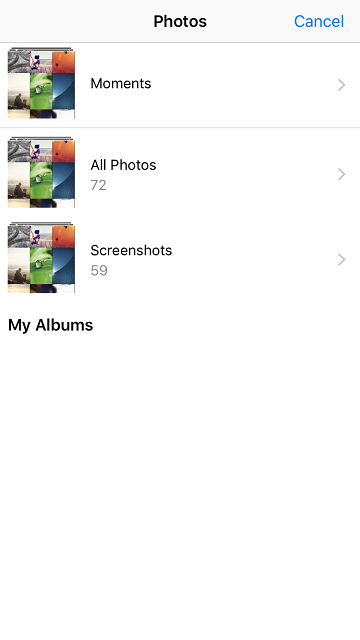 Select the menu Security / Credential storage / Install from phone storage / SD card. 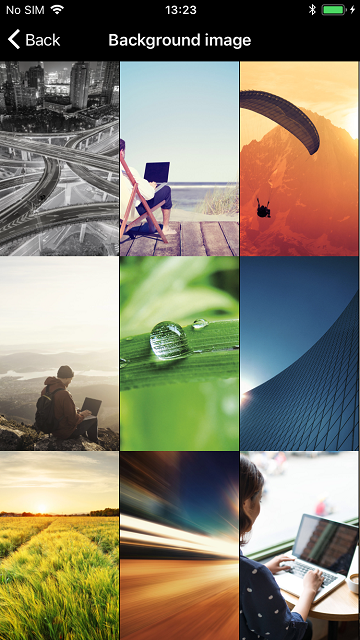 Navigate to the directory where certificate file is stored, and then open it. When asked, enter the PIN of your device. Afterwards, provide the certificate with a name of your choice. You can check whether the certificate was installed successfully by going to Security / Credential storage / Trusted credentials / Users. 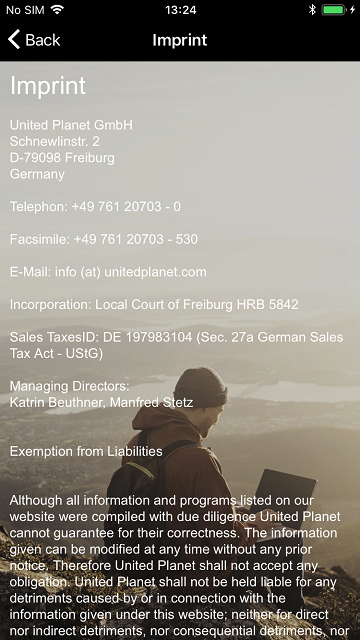 You certificate with the name of the organization used in the certificate should be shown here. The names of the menu items may vary depending on the Android version. 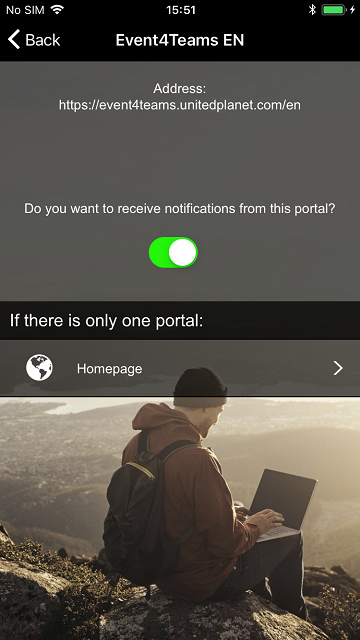 Another option is per download: Provide the certificate as a download and allow users to download it to their smartphone using their browser. 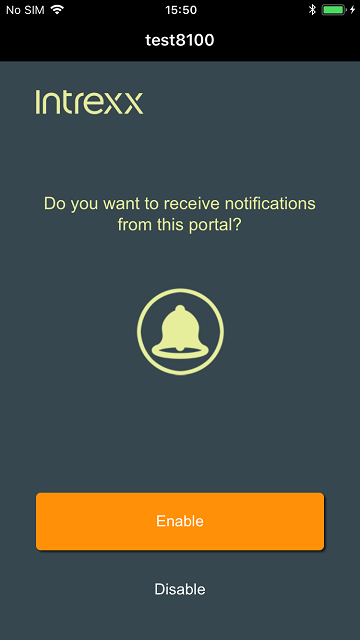 The certificate can be installed by clicking on the certificate or via "Settings" in your smartphone. Open the stored certificate to access the configuration profile. You can install the certificate in the configuration profile. Activate the certificate via Settings / General / About / Certificate Trust Settings. You can view the installed certificate under Settings / General / Profile. 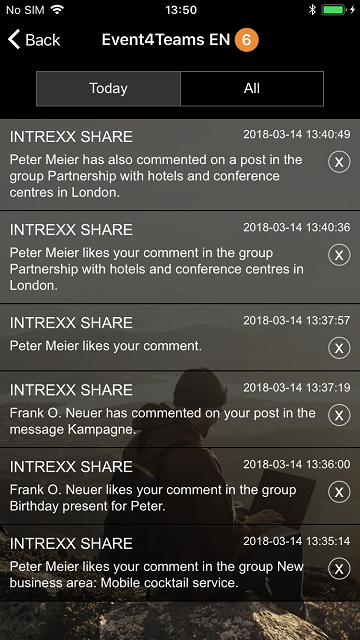 If you are using the Intrexx authentication, modifications concerning authentication are not required. 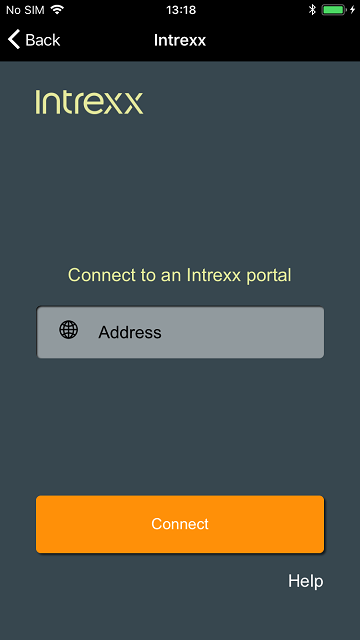 Register the portal in the Intrexx Mobile App using its HTTPS URL and log in with your Intrexx username and password. 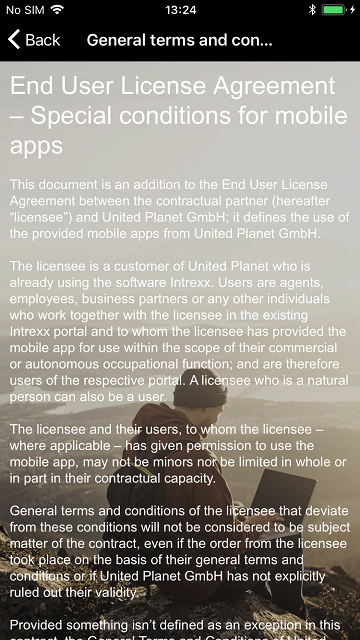 Minor modifications need to be made to portals that operate with user authentication against an Active Directory so that the Intrexx Mobile App can access them. The SSL certificate of the LDAP server needs to be imported in the portal properties, if the server is available under encryption via the LDAPS protocol at port 636. This is not required if it listens without encryption via the LDAPS protocol at port 389. Now, add another authentication module to the file "lucyAuth.cfg" in the portal directory /cfg. Correct the provider URL of the Active Directory server accordingly and copy the entire section into the lucyAuth.cfg, for example at the end of the file. 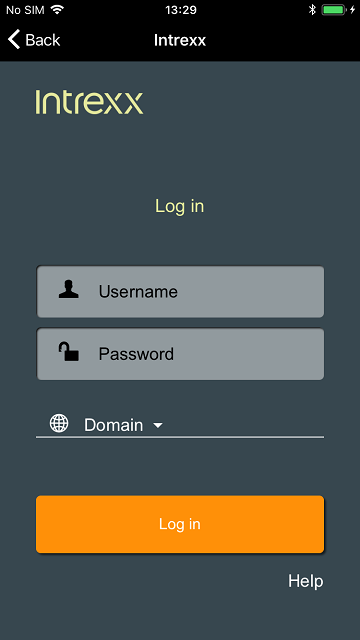 If the connection to the Active Directory server via LDAP is not encrypted, modify the provider URL accordingly. Usually, the port 389 is used. If the authentication should take place against an Active Directory, the call needs to be HTTPS encrypted via a virtual directory on the web server without Windows authentication (anonymous authentication). The superordinate paths need to be activated under the ASP settings. Afterwards, restart the portal service. In both scenarios, we expect encrypted connections via SSL/TLS for security reasons. 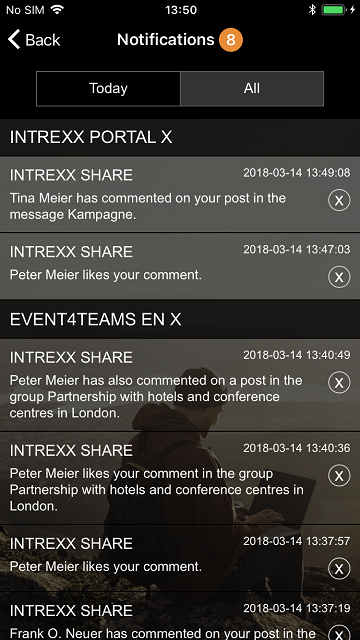 Both Intrexx Mobile App users and users who access the portal via a desktop browser can now log in to the portal with their Active Directory user and password. If you want desktop users to be able to log in via Integrated Windows Authentication, please read our Advanced Techniques workshop - Mixed authentication. 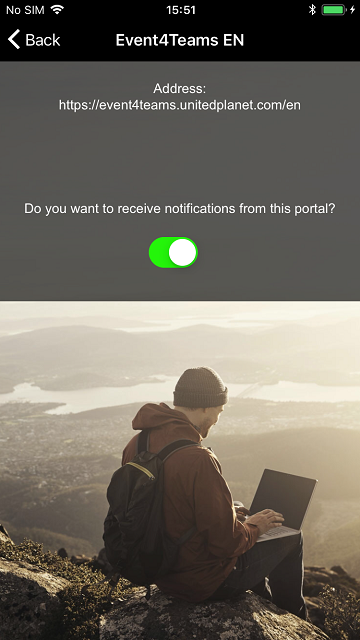 iOS: I have received a push notification but I do not see it in the app. 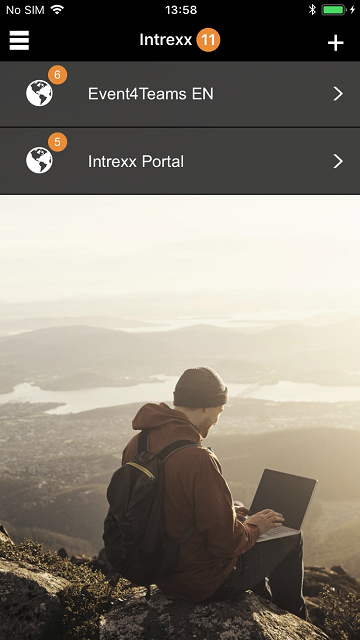 When I click on a push notification, the target page does not open but the login page of the Intrexx portal instead.